WebRTC development basically refer to web based communication protocol which runs only on selected browsers equipped for the technology and allows an array of value added features including video conferencing solutions. WebRTC in recent times emerged as one of the advanced VoIP solutions for modern enterprises. Some of the key reasons that made it one of the preferred enterprise grade solutions for communication and collaboration include glitch free performance, multi-layered security, robust scalability and proven reliability in most challenging user environments. 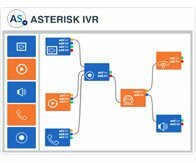 Asterisk is a VOIP platform recognised WebRTC solution providers with an array of successful apps built with this protocol so far. We ensure leveraging the sophistication and ease of the protocol for most advanced communication and collaboration for diverse enterprises and business purposes. 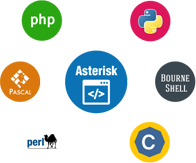 Asterisk platform is recognised as one of the WebRTC solutions considering its industry wide reputation, excellence service quality and robust performance. Asterisk Webrtc video conference solutions revolutionise the so called video conferencing feature widely used across enterprises for face to face communication among team members. Its open source solution ensures true to life video quality while facilitating remote communication through video conferencing. Video conference using WebRTC guarantees unperturbed performance, smooth video communication and advanced recording features. It can easily allow audio conferencing among employees and management within an organisation. The real time communication coupled with robust security and glitch free performance of Asterisk WebRTC will ensure real time voice communication among employees and team members across different locations. 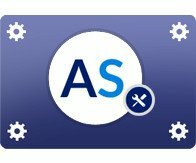 The audio conferencing capability of AsteriskService.com will help bridging the communication gap in different business environment where real time communication and collaboration among the team members proves to be important. It provides data sharing solution to allow easy file and document sharing simultaneously with WebRTC Video Conference. The ease and flexibility of data sharing among several individuals within an organisation allows better collaboration and value added communication for diverse enterprise scenarios. The protocol helps sharing all kinds of data files within an organisation. It is one of the best key features ensured by this protocol. Thanks to this feature a session can easily be reestablished when a browser is refreshed or reloaded or IP connectivity is lost or HTTP server is crashed. It comes with both video and audio conferencing capabilities allowing communication among several parties so that it can facilitate real time in-person communication among people across the locations. Isn’t it a brilliant live chat solution? Circumstances demand you to stop the session on your office system and continue it on mobile device. We thank our WebRTC solutions that help us to switch the user sessions on any new device. So you are annoyed every time to go on the desk and solve the computer problem? Or you are the one who constantly asks for the computer help? No matter what the screen sharing feature can easily save time and confusion both. Along with that screen sharing is helpful during a meeting held online. The best WebRTC Software Solutions can easily change the network conditions by not harming the quality of voice or video. 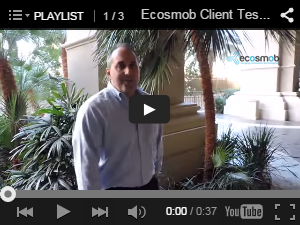 The most outstanding feature multi-tenant allows to serve multiple tenants at a time. You can share the data and can deploy any kind of customization. Moreover, the tenant can be any large or small enterprise that has a common access to software. The WebRTC Video Conference software not only takes care of multiple functioning for deploying ease in enterprise, but is a boon for security even. The user authentication is done through OAuth-2 from social media networks like Facebook or Google, LDAP using Enterprise Active Directory, SIP Registrars, customer application databases etc. Scalability is one of the big advantages of WebRTC solutions as it can quickly adapt to changes to ensure service for increased number of subscribers in a quick time. It offers businesses the edge of high performance real time communication with web based audio and video conferencing. It redefines the excellence of management by reducing end-to-end solution complexity. The software is equipped with various ease-to-do tasks like monitoring, provides statistics, troubleshoots, provisioning and much more. It allows better teamwork and collaboration with real time file and document sharing. Over the years we have established ourselves as the torchbearer of most advanced real time communication and collaboration protocol named WebRTC Development. Some of the key reasons to choose us as your partner for WebRTC implementation include guaranteed and robust performance, legacy of delivering solutions to industry leaders, unmatched support and professional guidance for implementation.